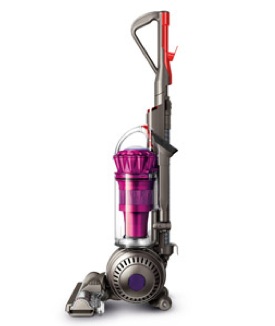 Dyson DC41 Animal Complete Upright Vacuum + Bonus Tools Only $399 + FREE Store Pick Up (Reg. $649)! You are here: Home / Great Deals / Dyson DC41 Animal Complete Upright Vacuum + Bonus Tools Only $399 + FREE Store Pick Up (Reg. $649)! Woo Hoo!! If you’ve been wanting this bad boy, you won’t believe this HOT deal! You can currently snag this Dyson DC41 Animal Complete Upright Vacuum + Bonus Tools for only $399 + FREE Store Pick Up (Reg. $649)! It comes with a range of extra tools for whole home cleaning, including a Tangle-free Turbine tool, Stiff bristle brush, Soft dusting brush and multi-angle brush. This Dyson upright vacuum cleaner with bonus tools has Radial Root Cyclone technology with remodeled airways to maximize suction power, and the cleaner head self-adjusts for optimum contact on every floor type.